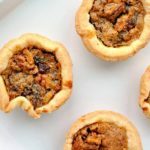 Traditional Canadian butter tarts made with raisins and optional nuts and sweetened with maple syrup. Christmas time means butter tarts. Every Christmas that I can remember my family has looked forward to receiving butter tarts from my mother-in-law. We all agree that hers are the best in the world. Several years ago, I finally got up the nerve to ask her for the recipe, which she, of course, willingly passed on to me. I still have the sheet of looseleaf paper on which she recorded this recipe in her beautiful handwriting. It’s folded and filed in my recipe cupboard and I take it out each year to make my own. 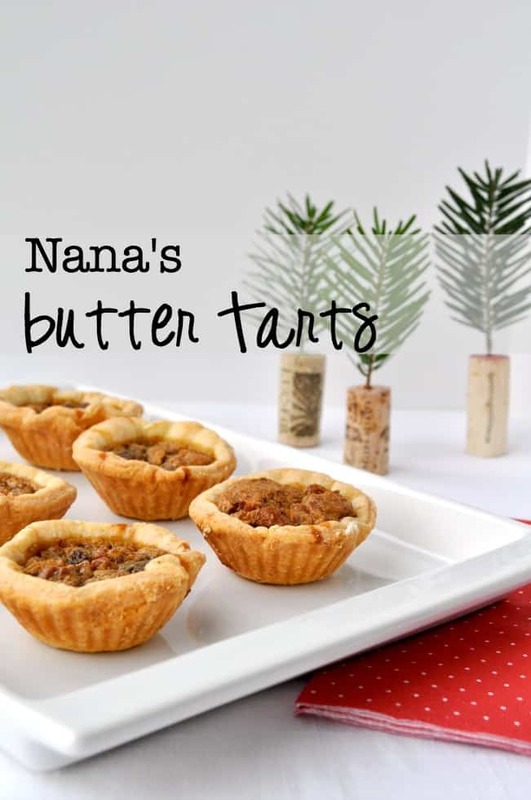 Nana is 89 years young now and while she is still very active and young-at-heart, she has given up her annual tradition of baking butter tarts. It’s my turn now, and armed with her recipe, I’m happy to take over this responsibility. Is there anything more Canadian than butter tarts? They rate right up there with Nanaimo bars, bacon, and maple syrup. 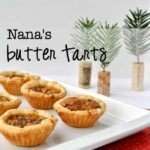 Everyone has a favourite way to make their traditional Christmas goodies, and this recipe for traditional butter tarts can be adapted to your family’s tastes. 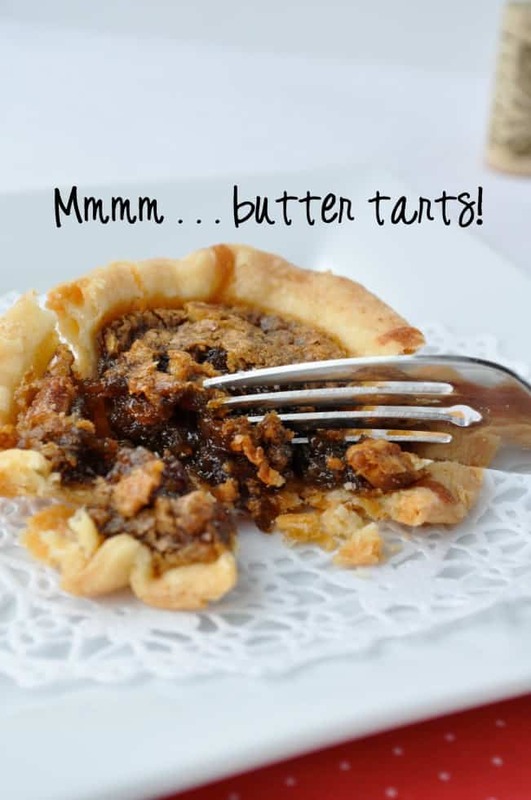 What are the traditional ingredients in butter tarts? 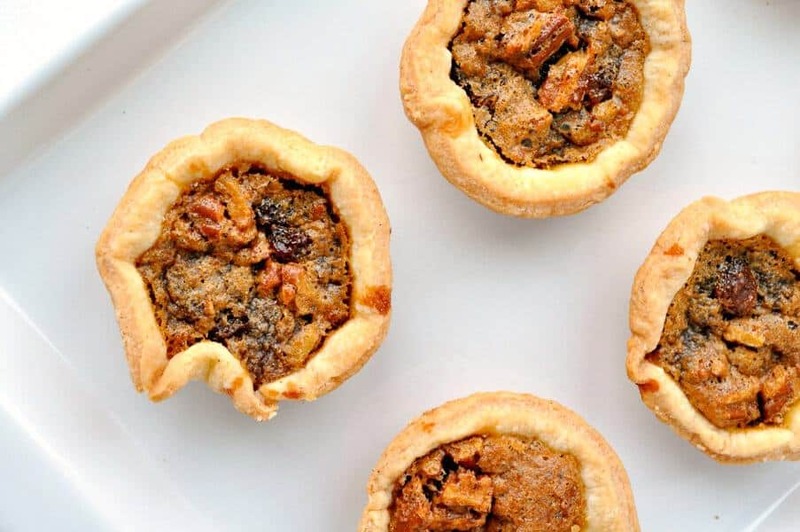 Traditional butter tarts are made with brown sugar, sultana raisins, butter, eggs, and walnuts, although the nuts are optional. 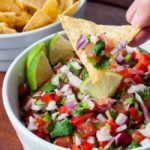 Adapt the recipe to make it your own! Try butter tarts sweetened with maple syrup. 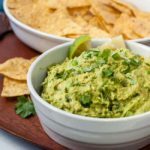 Some recipes use corn syrup or cream, but this recipe avoids those ingredients. Nuts are optional, but my family likes them. 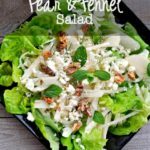 Walnuts are more typically the Canadian choice while Americans may prefer pecans as they’re more reminiscent of pecan pie. I usually use my recipe for Never Fail Pastry because . . . well, it never fails! This year, I also made a batch of tarts with gluten-free pastry with good results. Well now, let’s be totally honest. Gluten-free pastry is not the easiest thing to handle and at times, it can be downright frustrating. However, I persisted and found that if I coaxed the little rounds into the tart pans and spoke nicely to them, they cooperated. 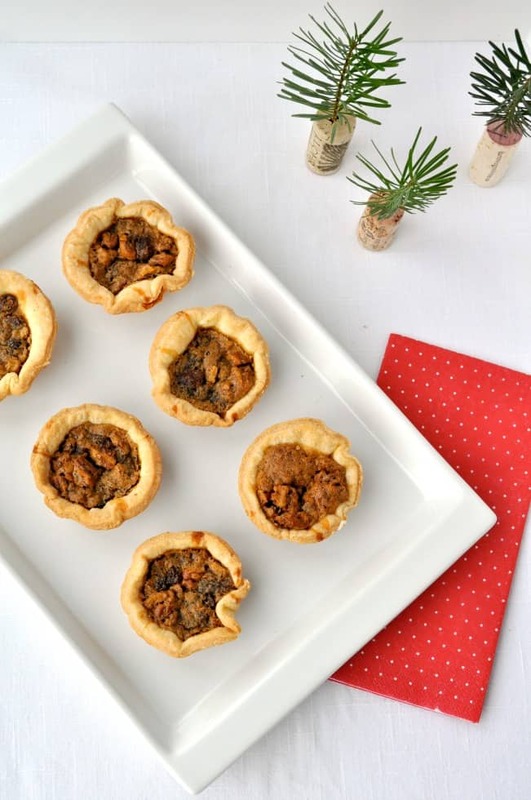 You can use Bob’s Red Mill Gluten-Free Pie Crust mix to make gluten-free butter tarts. Can you freeze butter tarts? Yes! These tarts freeze well, and taste almost as good frozen and eaten directly out of the deep freeze on the way out the back door. Put flour and salt in food processor and pulse. Cube butter, then add to flour in processor bowl and pulse until it resembles coarse meal. Add vinegar to milk. Add all at once to flour mixture. Pulse until it just forms a ball. Remove and divide into two balls. Place on waxed paper or plastic wrap, flatten gently into a disc, top with another layer of wrap, fold over and refrigerate if not using right away. Roll out and cut to fit your tart tins. Press gently into tins, smoothing out any creases. Prick several times with the tines of a fork. Rinse the raisins with hot water a couple of times. After draining the last time, squeeze them with your hands to remove excess water. Measure the brown sugar, maple syrup and butter into a medium bowl. Add the raisins and stir. Add the eggs and vanilla and stir thoroughly to combine. Stir in the chopped pecans or walnuts, if using. Carefully spoon into 24 three-inch pastry-lined tart shells, filling 2/3 full. Bake in 350°F. degree oven for 22 – 24 minutes or until pastry is golden brown. Remove and let cool on a wire rack. For gluten-free pastry, use Bob's Red Mill Gluten-free Pie Crust mix and follow package directions. Only 1 tbsp if butter ? As unbelievable as it sounds for butter tarts, yes! 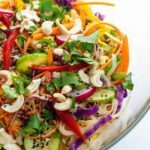 Hope you love this recipe!